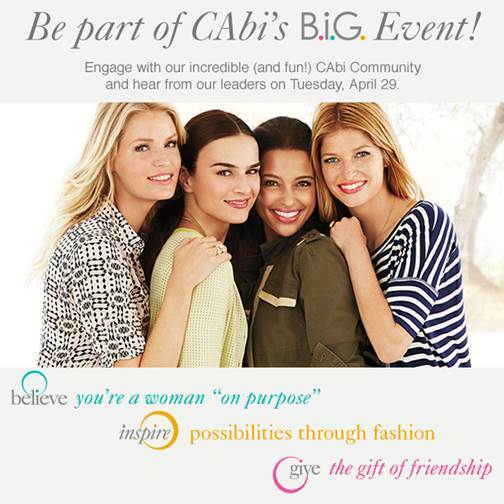 CAbi invited me to attend their B.I.G. Event in San Antonio on Tuesday and it was a huge HIT! 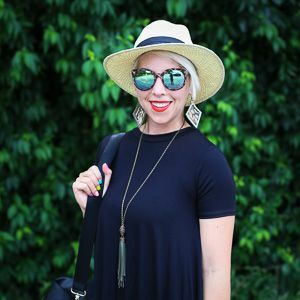 The clothing company's broadcast was viewed all over the country by women interested in a career with CAbi, established CAbi consultants, and guest like me. I live tweeted and Instagrammed for CAbi throughout the event and to my surprise...I could hardly keep up with all the inspiring quotes, information, and fashion! They could not have been sweeter and more welcoming...such a shining example of what the CAbi culture is all about. Making connections. 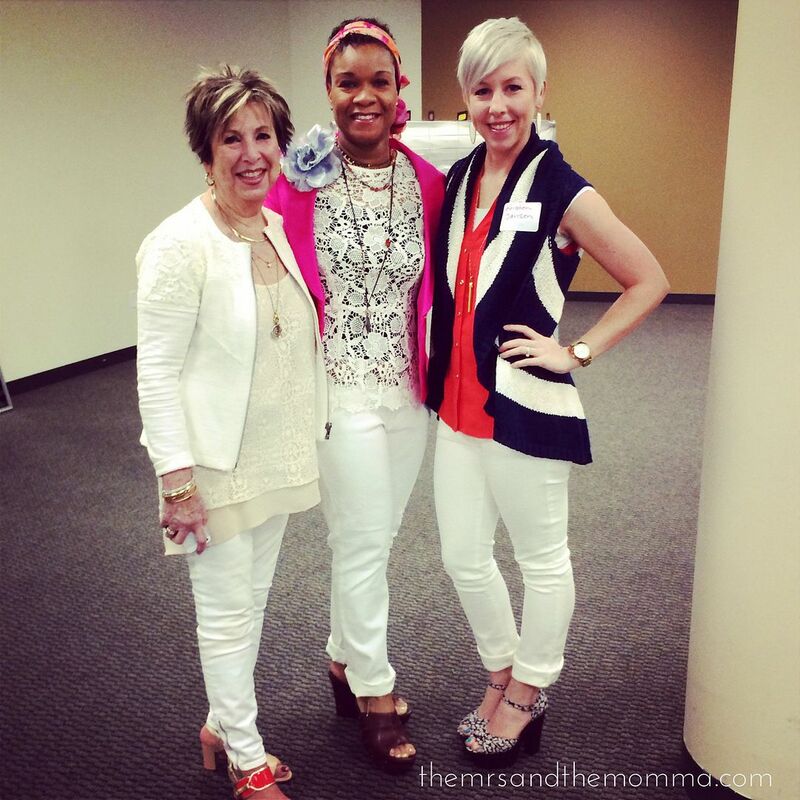 The company's president spoke on being a woman "on purpose" and intentional womanhood. I loved it! What a passionate message to broadcast to this vast audience that being a woman is what's it's all about...and all the connections, success, and confidence enjoyed as a product of that. To my personal delight, they gave a little sneak peak of their fall line (raise your hand if you're already thinking "skip over the heat, let's get to fall"...me!) and we got an exclusive look at their new St. Barths collection just released in time for summer with a "vacation state of mind" theme. If you ever have the chance to attend a CAbi function/party or might want to host one yourself, I promise you will fall in love. The women in my family host CAbi parties every fall and spring (when the two lines come out), and we wouldn't have continued this for years had we not experienced an unmatched quality and uniqueness about their style and designs. And what's not to love about shopping and trying on clothes in your own home??? 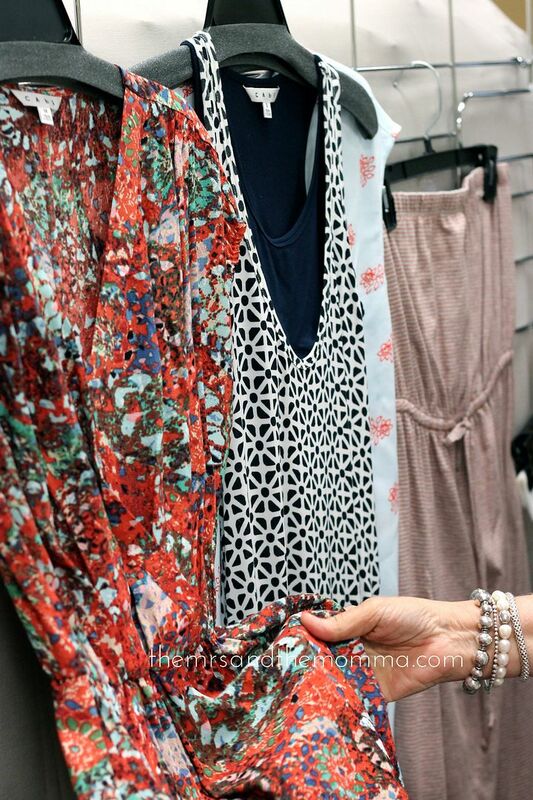 Are you a CAbi fan? If so, what's your favorite piece you own? ***I was compensated for this post, however the opinions are all my own.